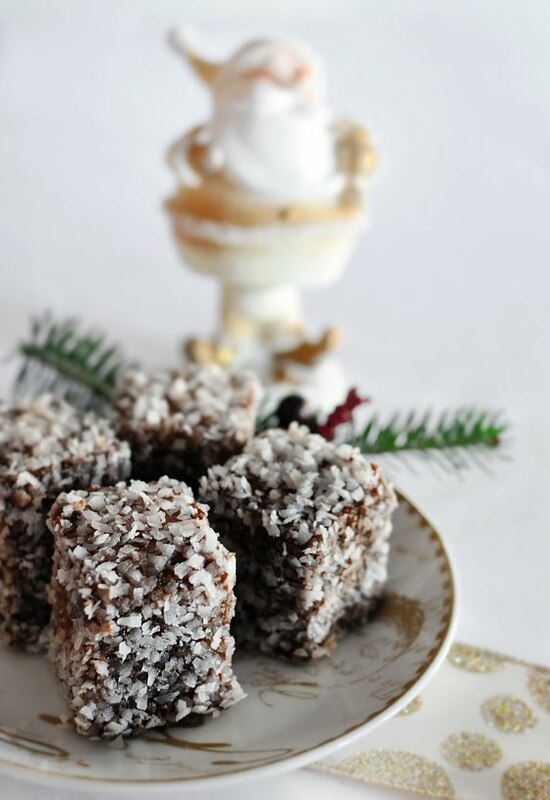 Lamingtons apparently originated in Australia. Well, don't say that to an average Croatian, because to us these are called Čupavci and we've been making them for as long as we can remember Maybe once upon a time someone visited Australia and brought back a recipe that became a Croatian classic, but whatever happened, these are made by everyone, pretty much throughout the year, for any celebration, including Christmas time, of course. They are fairly simple to make, and pretty quick to, if maybe just a bit messy for the first few times. Or maybe that's just me, haha. If you don't like coconut, I will see you in a few days on my next post. This is for coconut lovers. Meaning, in my house you couldn't find these until I started baking. My family despises coconut. I love it! My mom did do them rolled in ground walnuts instead of coconut, I wasn't in love in that, though, while she loved it. Go figure. Mix the butter with a cup of sugar and then add the egg yolks. Slowly add milk and flour with baking powder. In a separate bowl mix egg whites until they are forming stiff peaks, just before they are ready add 2 tbsp of sugar. Carefully fold them into the dough. Bake in a greased pan on 375 degrees for 25 to 30 minutes. Let it cool completely before cutting them into little cubes. I go for about 2x2 inches or little smaller. For the chocolate dip melt your chocolate chips and milk in a pot on low heat and when they are completely melted and smooth add butter. 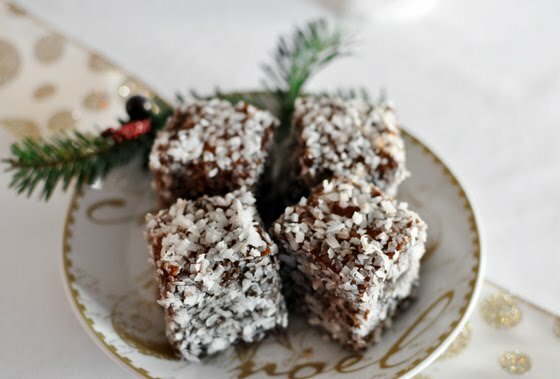 Let it cool of a little bit before dipping your lamingtons in it. Make sure your coconut isn't in very big flakes. the ones I usually get I have to put in my food processor and pulse for a little bit or it looks very unattractive on the small cakes. This is how I put them together. I dip each little cake into the chocolate and put into a prepared pan, letting the chocolate to soak in just a little bit, making the process so much faster than doing it one by one into chocolate and then to coconut, and it is much less messy like this, too. Once you have all the cakes dipped, roll them in the coconut, tapping a little bit so it gets as much as coating as possible. I put them into a plastic container and they are best eaten in a day or two when all the flavors come together. I am noticing that a lot of Croatian small cakes are best made in advance! That can be very convenient, I think. I hope you enjoy them...I made them day before Christmas Eve and there is not a lot of them left in my house anymore...I am pretty much out of sweets for the New Year, and with all of the baking that I've done! I have to get on it! Volim ih, ali ih već zbilja jako jako dugo nisam radila!